*** Just tap to jump or attack monster! -Unity 5.4.3f1 for Android,iOS ! –Completely FREE and Exquisite gameplay ! -Share game with link and image ! 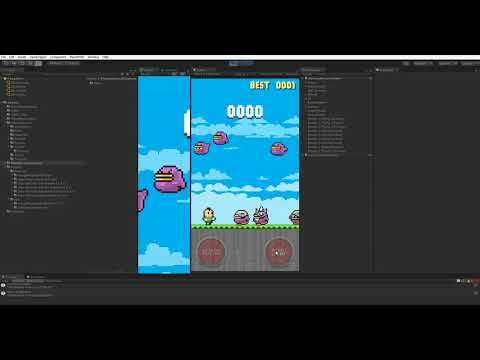 - Google Mobile Ads: In Unity Editor ,Assets->Heroes Bounce->Scenes->Select “HeroesBounceGame” Scene-> Hierarchy->Select “Admob” object->Changeyour admod banner,instertialid ->Done! - Unity Ads: In Unity Editor ,Assets-> Heroes Bounce-> Scenes-> Select “HeroesBounceGame” Scene-> Hierarchy-> Select “UnityAds” object-> Changeyour UnityAdsid -> Done! - LeaderBoard : In Unity Editor ,Assets->Heroes Bounce->Scenes->Select “HeroesBounceGame” Scene-> Hierarchy->Select “LeaderBoard” object->Change your leaderboardId ->Done! (iOS).